Prepare to sing along to crowd favorites at these live shows and concerts around Houston from Monday, March 25 through Sunday, March 31, 2019. Legends from blues, rock, country, and more stop by Houston for highly-anticipated performances to close out the month of March. Taking Back Sunday, with Frank Iero at House of Blues | Monday, March 25 and Tuesday, March 26 – The ever-popular emo-punk group visits Houston for a two-night engagement in Downtown’s House of Blues. Tickets range from $35 to $49.50. 7pm. Michael Bublé at Toyota Center | Tuesday, March 26 – Following a lengthy break from touring, the Grammy-winning International superstar known as Michael Bublé finds his way back to Houston for what promises to be an unforgettable performance. Tickets range from $65 to over $139.50, but you may find better, cheaper, or hard-to-get seats using the TicketNetwork online marketplace. 8pm. Guster, with Saintseneca at The Heights Theater | Wednesday, March 27 – Over three decades, this Boston-based alt-rock group have enjoyed some mainstream success, culminating in their early 2019 release, Look Alive. Tickets for their show in The Heights are $32.50. 8pm. La Santa Cecilia, with Siempre Selena at Avenida Houston | Thursday, March 28 – The Grammy-winning Mexican-American rock band from Los Angeles blend various Latin styles and have seen success through six studio albums, including their most recent, Amar y Vivir. Siempre Selena, a Selena tribute band, opens at this free show in Downtown. 6pm. Moneybagg Yo in Concert at House of Blues | Thursday, March 28 – Rapper and songwriter, Moneybagg Yo performs a live show at House of Blues in Downtown for his Word 4 Word Tour. Tickets are $25. Doors at 7pm. Show at 8pm. Buddy Guy, with Christone “Kingfish” Ingram at House of Blues | Friday, March 29 – One of the most influential guitarists ever, the blues legend Buddy Guy arrive in Downtown with a historic catalog of music, including songs from his 2018 release, The Blues Is Alive and Well. Tickets range from $39.50 to $99.50. 7pm. The Revivalists, with Rayland Baxter at Revention Music Center | Friday, March 29 – The eight-piece jam band from New Orleans brings an energetic live performance as part of their “Take Good Care Tour”, passing through Downtown’s Theater District venue. Tickets are $35. 7pm. Hozier, with Jade Bird at Revention Music Center | Saturday, March 30 – Multi-platinum recording artist, Hozier, arrives with songs from his sophomore album, Wasteland, Baby!, released earlier this month. Tickets start at $83. 9pm. Terry Allen at The Heights Theater | Saturday, March 30 – The Lubbock-born musician and artist is known for his mythical storytelling and twists of musical convention. He visits Houston for an intimate set that tours his catalog of cult favorites. Tickets range from $22 to $32. 8pm. 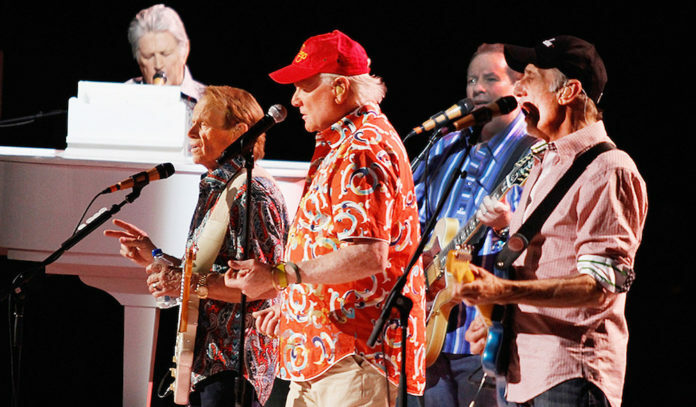 The Beach Boys at Smart Financial Centre | Saturday, March 30 – With Mike Love and Bruce Johnston leading the way, the famed pop-rock group stops by the intimate Sugar Land venue as part of the “Now and Then Tour”. Tickets range from $59.50 to $89.50, but you may find better, cheaper, or hard-to-get seats using the TicketNetwork online marketplace. 7:30pm.